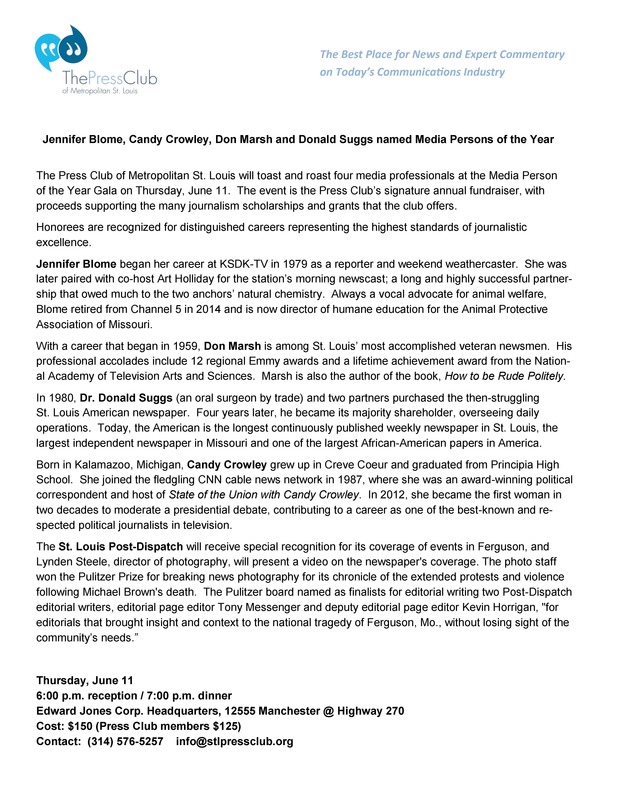 In 1988, the Press Club established the "Media Person of the Year" Award to recognize distinguished men and women from the St. Louis media whose work represents the standards of professional conduct and accomplishment. This scholarship dinner and roast has evolved into a major fundraiser, as well as one of the area's premier social events. Today, the gala draws hundreds of people -- from the movers and shakers of St. Louis, to everyday citizens -- with a special affinity for the media professional(s) being honored. The event has gained the reputation of being a memorable evening of entertainment, with honorees graciously accepting their "roasting" by prominent personalities and friends. Proceeds from Media Person of the Year benefit journalism/communications scholarships and internships, the media archives at the St. Louis Public Library, Press Club programs, and enterprise journalism fellowships. The St. Louis community's continuing support has enabled the Press Club to significantly expand its funding for scholarships and fellowships. For more than a half century, the Press Club of Metropolitan St. Louis has been a professional, social and charitable organization of people who make, cover and influence the news. 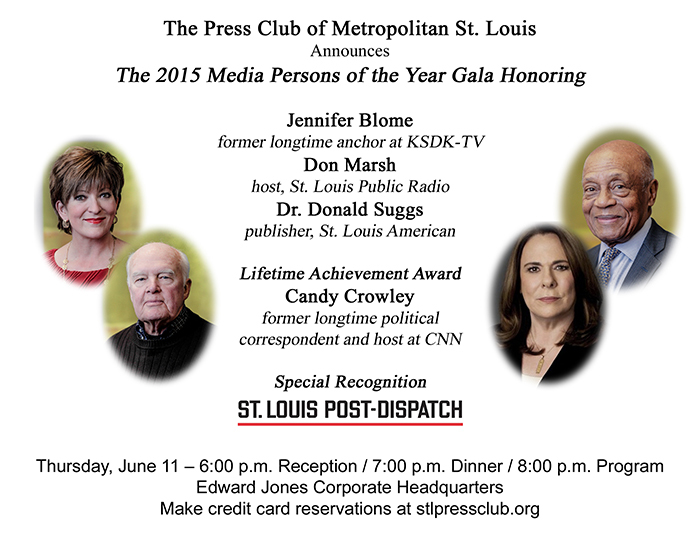 For information or membership, call 314.449.8029 or visit www.stlpressclub.org. The Press Club of Metropolitan St. Louis is honored to provide scholarships and internships to the underserved, bright communications students who are the trailblazers of tomorrow.